See raamat on trükist otsas, kuid me saadame teile pakkumise kasutatud raamatule. Some find the constant scrutiny an unwelcome intrusion; others use fashion as their secret weapon. Whatever their views, women in politics know they will be judged by how they dress more than their male counterparts. 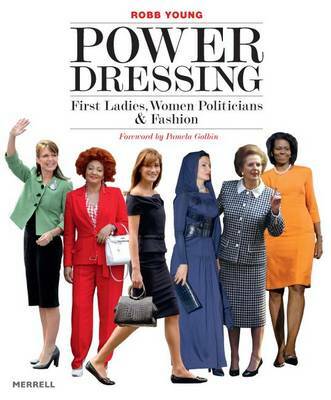 In Power Dressing, fashion journalist Robb Young offers an engaging perspective on the ability of style to influence the careers of women politicians and first ladies. Concise thematic chapters are interspersed with profiles of more than 50 serving and former women presidents, prime ministers, MPs, royals and wives from over 30 countries, ranging from such contemporary figures as Michelle Obama, Carla Bruni-Sarkozy, Angela Merkel and Queen Rania of Jordan to such iconic women as Eva Peron, Imelda Marcos and Margaret Thatcher. Featuring hundreds of photographs that shed light on political context, and quotations from prominent figures commenting on each woman's style, this fascinating book reveals the milestone 'fashion moments' as well as the unspoken rules of the political fashion game. Robb Young is a London-based contributing fashion journalist for the Financial Times, International Herald Tribune and Vogue.co.uk, among other publications.